Madhuri Dixit announced the wrap of her upcoming film Total Dhamaal, which also stars Ajay Devgn, Anil Kapoor, Arshad Warsi among others. 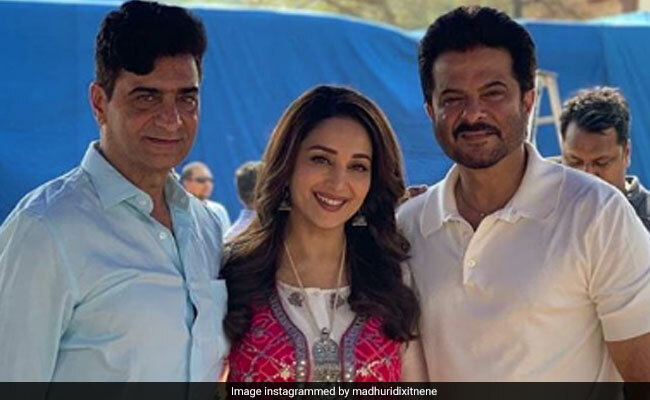 On Tuesday, the 51-year-old actor shared photos from the last day of the shoot featuring herself with Anil Kapoor and director Indra Kumar and wrote that the trailer of the film will be out soon. "Last day on the sets of Total Dhamaal, shooting with Anil Kapoor and Indra Kumar has been absolute fun. Trailer out soon," Madhuri Dixit captioned the photo. In the picture, Madhuri Dixit appears to be dressed as her character in the film. However, her role in the film has not been revealed yet. The photo has close to three lakh likes in less than seven hours. Last day on the sets of #TotalDhamal, shooting with @anilskapoor & #Indrakumar has been absolute fun. Trailer out soon! Earlier, a similar photo had been shared by Anil Kapoor on Twitter. "And it's a wrap! A totally dhamaal end to Total Dhamaal," Anil Kapoor wrote. 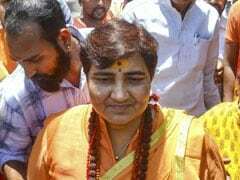 Ajay Devgn had also revealed in a post that Crystal, the monkey, who featured in Hollywood films like Hangover II and Night At The Museum, will make her Hollywood debut in Total Dhammal. Sharing a photo of himself with crystal, Ajay Devgn wrote: "Say Hi to Hollywood's head turner Crystal, debuting soon in Bollywood in Total Dhamaal. Trailer out soon!" Total Dhamaal is third installment of successful franchise Dhamaal which originally starred Arshad Warsi, Jaaved Jaaferi and Riteish Deshmukh but in the third part, the makers have brought in new addition to its original cast. Madhuri Dixit, Anil Kapoor and Ajay Devgn are the latest inclusion to the third installment of the Dhamaal series. Madhuri Dixit voiced Mowgli's wolf mother Nisha in Netflix's Mowgli: Legend Of The Jungle. Madhuri Dixit has also come on board for Karan Johar's Kalank, which also stars Sanjay Dutt, Alia Bhatt, Varun Dhawan, Aditya Roy Kapur and Sonakshi Sinha.